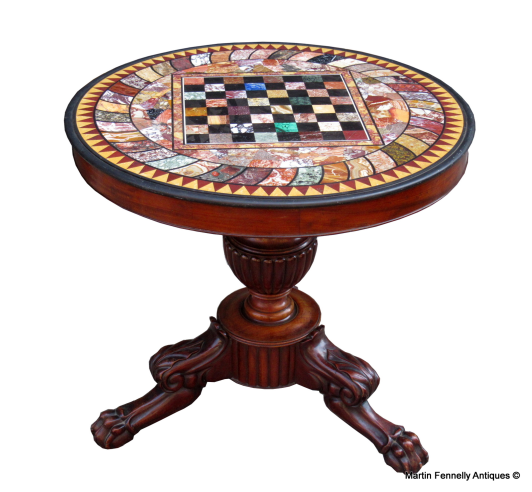 This is a spectacular Italian Grand Tour Specimen Marble top Mahogany Centre Table dating to Circa 1860 of superb quality. 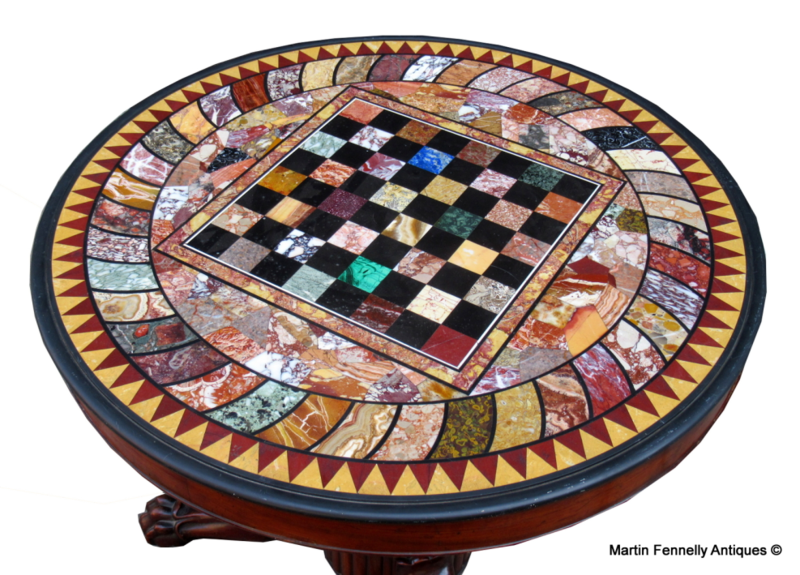 This table consists of a stunning specimen marble top with a central inlaid Chess Board, this is surrounded by a geometric design of various inlaid specimen stones including marbles, semi-precious stones and gem stones such as Lapis Lazuli, Verde Antico, Malachite. 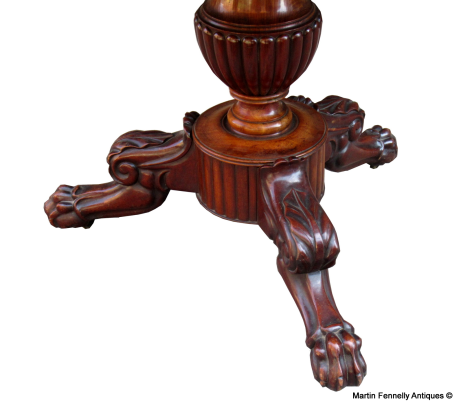 The marble is supported on a Mahogany reeded bulbous column leading down to a sophisticated tripartite base of a wonderful patina that consists of three imposing scrolling legs ending with carved claw feet and original castors. This is one of the best Specimen Tables I have seen and athough just arrived at my gallery ... it is already much admired by my neighbours in The Antique Business.